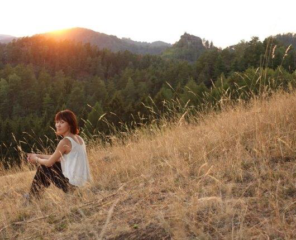 As our feet hiked on dirt trails, rocky slopes and boulders, we had watched nature proudly show off her handiwork each time she pulled away the curtains to reveal a landscape more impressive than the one before. Otherworldly sandstone rock towers in Tisá, some as high as 30m, jutted out from the forest offering fantastic sunset views from the top. 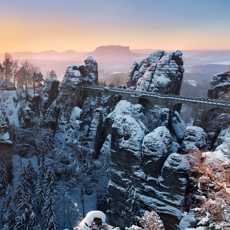 Pravčická Brána, Europe’s largest sandstone arch, stood witness to the past, present and future of countless generations. The gentle Gabriela’s Trail offered a chance to escape city life in forests of pine, oak and spruce. Boatmen rowed visitors across the quiet gorges of Kamenice where time seemed to have stood still and fabled rock faces stood guard. Timbered houses with pretty windows dressed with porcelain cups and lace tablecloths stood sprinkled among golden fields. Luckily, the team at Northern Hikes had set their hearts and minds on answering that with a yes. 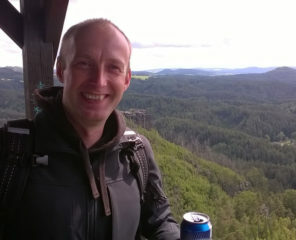 And so, on our third day in Bohemian Switzerland, I found myself on a new trail lured by the promise of “epic views,” my legs, now more energetic than weary. Soon enough, we arrived at our destination. I found myself, at the edge of a cliff (okay, almost, because you’ll never find me at the very edge of a cliff) looking upon a scene that seemed surreal. In the canyon below, the clouds reflected perfectly in the shiny mirror that was the Elbe River as it wound around the emerald forests of the Bohemian Switzerland National Park, hills and slopes and woods dotted with houses. 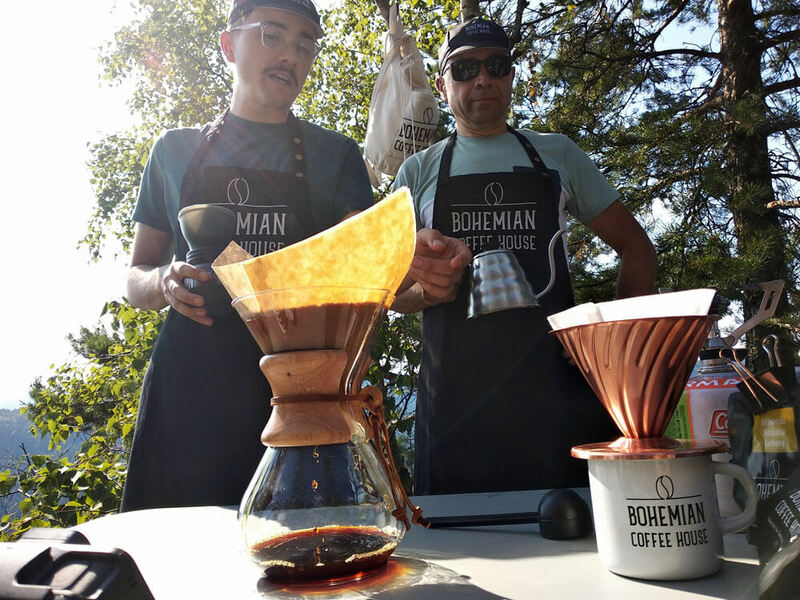 “Welcome to coffee with a view,” said Jiri Duzar, co-founder of Bohemian Coffee House as I turned my attention to the coffee makers, beans and homemade baked goods that were set up on a table. What could be better than a spectacular view after a hike? As I was about to find out, it was a view with steaming specialty brew, made from beans ground right there, in the great outdoors. 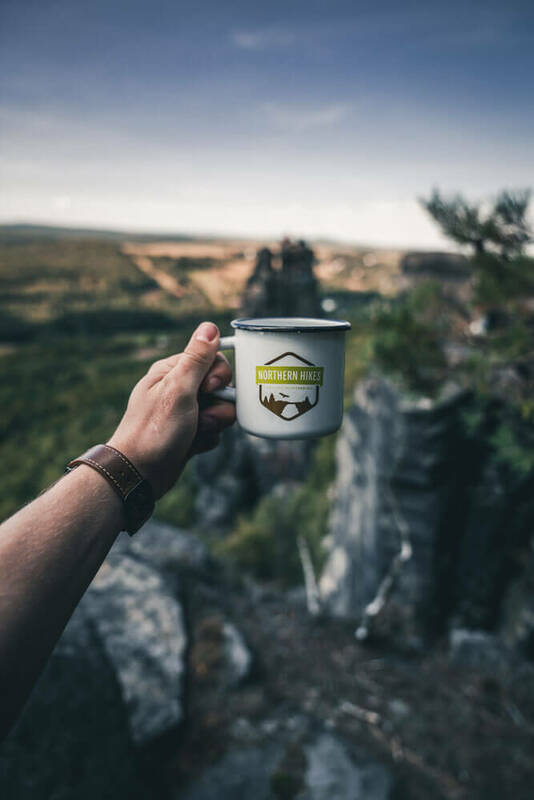 To combat overtourism in the most popular spots of the Bohemian Switzerland National Park, Northern Hikes has teamed up with local coffee roasters Bohemian Coffee House to create a unique tour, Coffee & Canyons, that offers fantastic hiking, epic canyon views (and Instagram-worthy photos) and great specialty coffee. 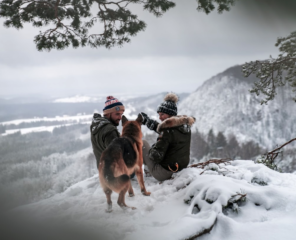 Northern Hikes has also joined hands with local instagrammers and avid photographers to scout lesser-known photo-worthy locations within Bohemian Switzerland. 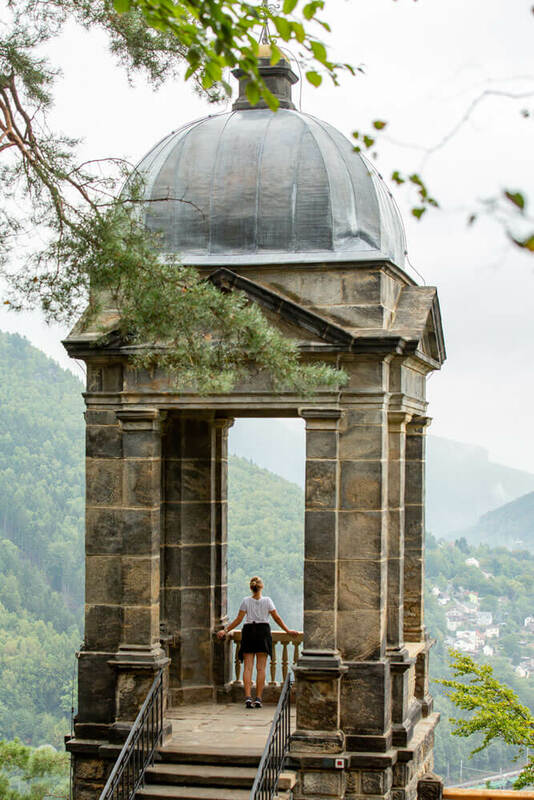 While these places offer fantastic views, they’re hidden enough that you’ll find hardly any other tourists there. Guests on the Coffee & Canyons Tour who hike to these locations with Northern Hikes are then treated to a coffee ritual in the outdoors where they can learn to make specialty coffee (Colombian, Ethiopian, Brazilian and Indonesian) by Bohemian Coffee House, and enjoy it with delicious homemade cakes, all with a view over one of the deepest canyons in Europe. 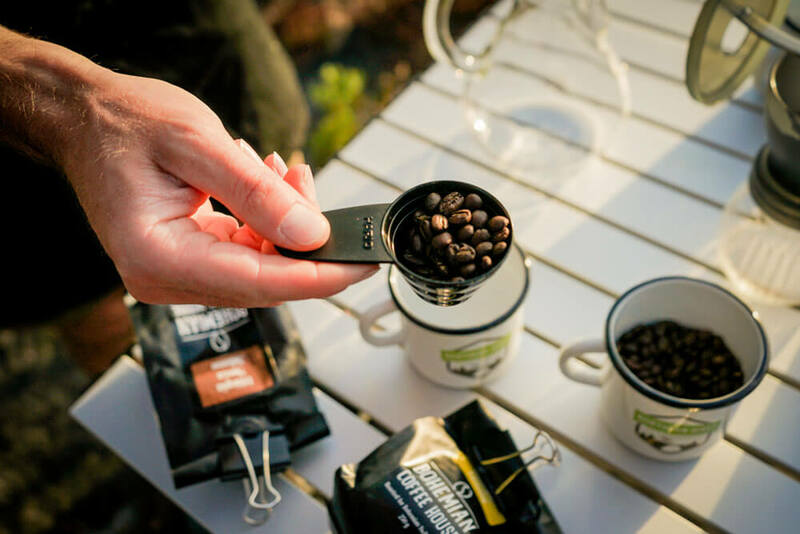 “Now when we go hiking, we always try to bring some beans with us, a grinder, and a coffee maker. 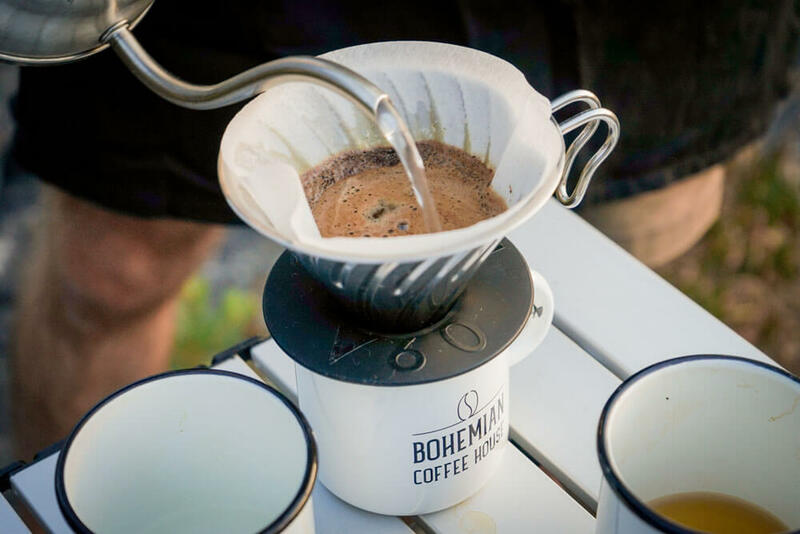 There’s nothing better than to have a fresh cup of coffee with a beautiful view like this,” said Jiri Jr. as he demonstrated coffee making with Chemex, an elegant glass coffee maker that was invented in the 1940s. 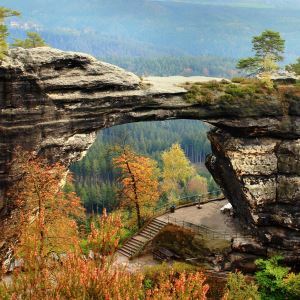 For Northern Hikes, the tour is their attempt at fostering sustainable tourism within the Bohemian Switzerland National Park. After all, as locals and insiders who grew up around this beautiful region, they are determined to preserve this pristine ecosystem and its spectacular landscapes. 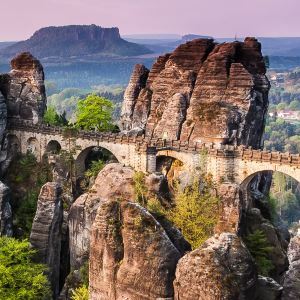 Much of that passion for the area flows into their tours, whether it’s in their superior knowledge of the flora and fauna of the park or the engaging stories they recount of exploring Bohemian Switzerland. As someone who loves to hike, I have to admit that solitude on the trail is a true gift, especially in our times when our minds are accustomed to the need and noise of being ‘social’ and connected all the time. I had come seeking a bit of that sweet escape from city life that is only found when one is a little lost in the woods, walking under a canopy of myriad shades of green, with only the sounds of the forest and the gurgling of distant streams for company. But as I sipped on the warm, energizing brew, took a bite of the most delicious strudel I’d ever tasted and listened to the banter of my fellow hikers over coffee, I realized that like wise ol’ John said, I’d found so much more. Big thanks to the entire team at Northern Hikes for showing me around such incredible landscapes. You can find more stories from Bohemian Switzerland on my blog TheBohoChica.com and photos from my trip on my Instagram @thebohochica as well as my Facebook page.